On May 19, 2012, Tim Devantier and I rode from Southern California to Cedar City to shoot the Annular Solar Eclipse on the 20th, then rode back home on the 21st. I clocked 1,172 miles (1,886 kilometers) for the entire trip. It wasn’t a particularly long ride at slightly less than 400 miles per day. Having shot many rolls in the past, I knew what to expect from the Kodak Gold 100 film; well-balanced color, medium saturation (not over-saturated), classic Kodak color. But when I scanned the film I had something quite different, namely flat colors, low contrast, abnormally high grain, and a definite dropout of the reds. The two versions of one of the negatives is shown below. This frame was captured in Zion National Park. Left: the degraded film. Right: the same frame color corrected to look (+/-) like it should have (the blue sky is a bit oversaturated, however). I thought about the degradation of the film for a few minutes and came up with a reasonable explanation. I loaded the roll in the camera the night before leaving on the ride. 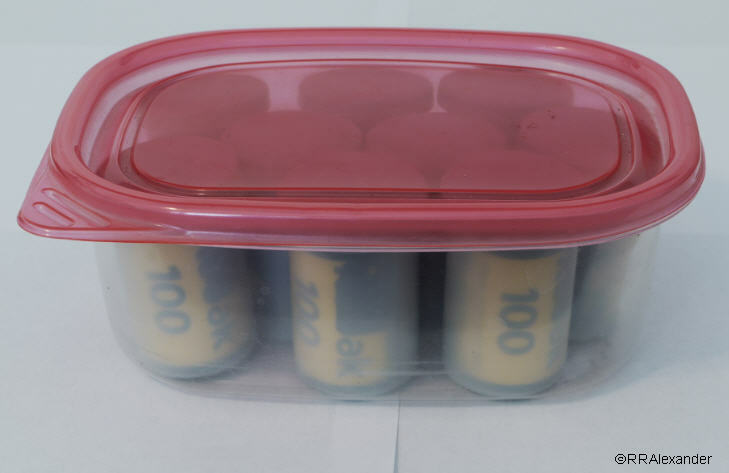 The rest of the film was in a plastic container (shown below) in an insulated lunch bag , along with frozen “blue ice” to keep it cool across the desert. The camera bags went in the saddlebags. 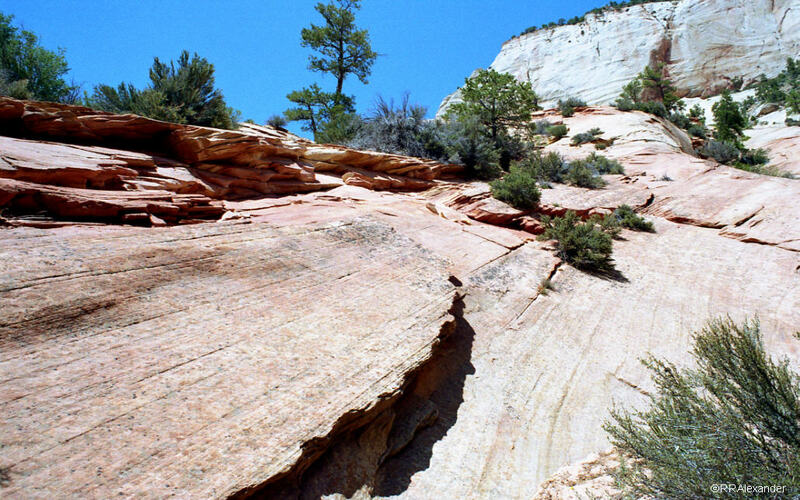 The cameras would be accessible if I needed to catch a photograph on the ride to Utah. 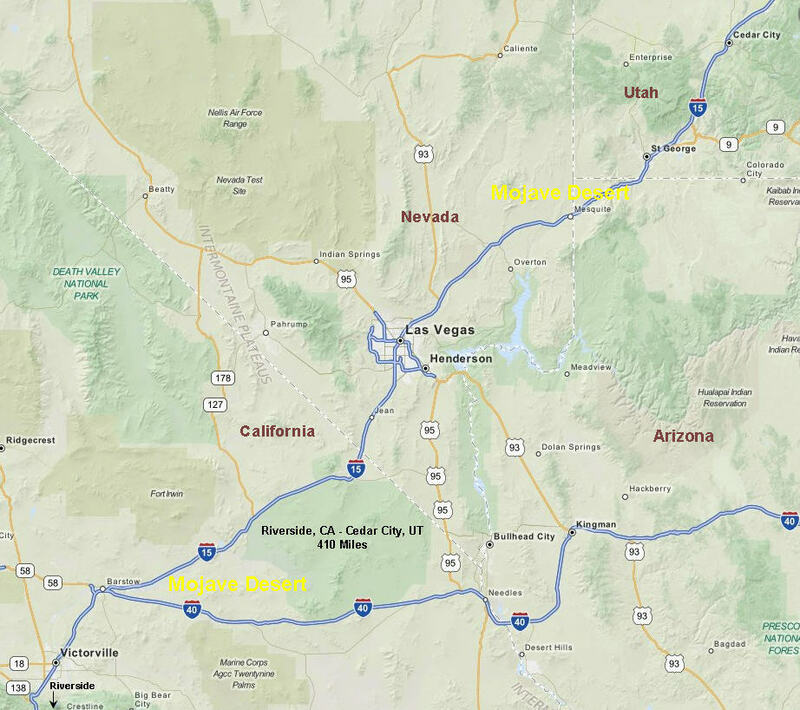 The route up Interstate 15 to Cedar City, Utah, 410 miles from my house, crosses the Mojave Desert. Though the SLR was stored in a padded camera bag in a (black) saddlebag, and thus relatively safe from vibration and dust, the outside temperature ranged from 45 Fahrenheit (7.2 Celsius) in the Cajon pass in the early morning to just below 100 F (38 C) across the Mojave in the middle of the day. Since the black leather saddlebag absorbed radiant heat during daylight, the temperature of the film could easily have climbed to 120 F (49 C) during the ride. I did a small amount of online research to verify my conclusion and turned up the following reason for the degradation of my film. From Kodak: It is recommended that unexposed film be stored at 55 F (13 C) or lower. For long storage, 32 degrees F (0 degrees C) is recommended. The reason for these recommendations is that heat results in in fogging, which lowers the speed of the film, dulls color, flattens contrast, and adds graininess.